For complete peace of mind and unmatched value for money, do consider our "all-VCL-products-included" Gnostice DevSystem Delphi Subscription. You get 12 months free major and minor updates and priority e-mail support. Please provide your name and e-mail address so that we can send you information related only to your download. You will not be contacted for any other purpose. We will not give your e-mail address to anyone else in any situation. The following IDEs are supported. * - In case gdiplus.dll file is already present, do not attempt to overwrite it, as this action will conflict with Windows system file protection feature. Purchase our developer tools from our online store on share-it! * - Effective from September 9, 2015. For an informed purchase, please consult our License Agreements and our Licensing/Purchasing Guide. Added support for circle annotations. TgtPDFDocument.MaskRect() also automatically masks the region if it is displayed in the viewer. Adding text watermarks is optimized to re-use font resources across all pages. TgtPDFDocument.SaveFileAttachmentTo() saves file attachments and file attachment annotations. If the default measurement unit is set to pixels, rendering operations will use 96 dpi as the pixel density, irrespective of the screen's pixel density. Access violation encountered when Tab key is pressed on a viewer displaying annotations and forms. Random 'List index out of index' error encountered during page navigation. Memory leaks when displaying annotations. First option in list box and combo box form fields is always selected, instead of no selection. Listbox values show hexadecimal character values without processing. Single-line form fields do not accept input properly if their width is too small. Invisible form fields are displayed instead of being hidden. Some JBIG2 images are not rendered properly. Various memory leaks in processing JBIG2 images. Access violation when rendering some PDF documents in 64-bit target platforms. Document is not rendered properly if it contains masked CCITT images. Setting TgtPDFAnnotation.BorderWidth property has no effect. "Out of memory" error when adding a text watermark to a large number of pages. TgtRect memory leak when adding a new form field. Watermark position is incorrect if application is running on a system with high screen density. Access violation encountered when merging PDF documents in a 64-bit application. Added support for RAD Studio XE8. Printing and interactive form-filling support for Windows 8.1 virtual DPI scaling. Added support for multiple monitors with different DPIs. Page will automatically scale based on the monitor's DPI if application is DPI aware. Added new property FormHighlightColor in TgtPDFViewer. Added new property FormTextColor in TgtPDFViewer. Added support for scrolling in multi-line text form fields. Added '+' indicator for multi-line text form fields that contain more text than could be fit in its bounding box. C++Builder compilation issue due to gtMultiMonitorAwareness.HPP. Components are shown disabled on the Tool Palette in 64-bit target projects. Text and images with DeviceCMYK and Seperation colorspace are not rendered properly. Images are not rendered properly when ColorSpace entry is not present. When landscape-oriented page is printed on portrait medium with "FIT" scaling and no rotation, output is not scaled proportionally. Access violations encountered with text search methods in 64-bit targets. Access violation encountered when assigning go-to action to link annotations. Document merge methods causes pages to lose their rotation settings. Support for rendering JBIG2 images with masking. Support for any length of the private key of PFX certificates used for digital signing. Page height-width ratio will be maintained if print scaling is set to "Fit". Parent form will be disabled when printing. Earlier, user interaction would cause application to become unresponsive. "Invalid floating-point operation" exception raised when merging some PDF files with JBIG2 images. Access violation in C++Builder when saving some PDF documents. JBIG2 decoder HPP causing linking error in C++Builder. Adobe Reader shows "BER decoding" error when signing with OpenSSL certificates. Adobe Reader shows "Insufficient image data" error with some merged PDF documents. Dotted lines are not rendered in some PDF documents. Some images are not rendered properly in some PDF documents. Invalid Glyph index error encountered on 64-bit OS for some PDF documents. Watermark is not visible when PDF rectangle uses negative coordinate system. Access violations when rendering some PDF documents with JBIG2 images. Support for viewing PDFs with JBIG2 images in 64-bit targets. TgtPDFDocument.GetText() will interpret the coordinates of the TRect passed to it in terms of pixels, instead of points, as was earlier. This makes it easy to work with the rectangle returned by TgtPDFViewer.GetOriginalRect() method, which is used to obtain a region selected by the end-user on a page displayed the viewer component. JBIG2 images in some documents are not rendered correctly. Text form field values are not aligned properly after flattening. Access violation encountered when closing viewer after some PDFs with missing "Catalog" name. 'Strasa' symbol is not rendered for some PDFs. Memory leaks encountered when viewing some PDFs. Interactive text form fields are not rendered properly if DPI is greater than 96. Interactive text form field are not displayed with embedded fonts. Improved accuracy of text search and extraction. Optimized display of PDF forms - reduced CPU usage. Memory leaks are encountered with text extraction in some files. IDE shows warnings related to	TgtPDFFormPushButton class. Size of radio button gets changed if TgtPDFFormField.ReadOnly property is set to true. Support for RAD Studio XE7 Update 1. Support for compilation of product source code compilation in Delphi 5. Added "Remove Attachment" option for file attachment annotations in custom widgets viewer demo project. Support for URL link annotations in custom annotation widgets demo. Improved text extraction and search accuracy. TgtPDFDocument.SearchFirst() method searches entire document if 0 (zero) is specified for PageNum parameter. Input property of user-derived form widget classes has been made "protected" to provide better input control. Support for alignment attribute of text form fields in viewer component. Installation issue in RAD Studio XE7 on 64-bit platforms. After previous update, help file does not open. Documents with invalid "startxref" position cannot be read. "Producer" document information property is set at the time of loading, rather than at the time of saving. Text extraction results in unreadable text for some documents - "ToUnicode" entry was not considered. Form field flattening ignores line breaks for multiline field values. Access violation caused during side-by-side page overlay (page stitching). Contents of multiline form fields are not wrapped when the values are modified. After modification, contents of form fields become invisible in Adobe Reader if "Highlight Fields" option is selected by end-user. Bold text is not rendered as bold in some cases when fonts are not embedded. False "Catalog not found" errors. TgtPDFDocument.SaveChanges() throws exception when input document is loaded from a stream. TgtPDFDocument.InsertBlankPage method sets page size to crop box instead of media box. Adding a watermark with vertical alignment set to the bottom edge does not position it exactly. Access violation encountered when saving encrypted PDFs with DCT-encoded images. Setting TgtPDFFormCheckBoxField.ReadOnly to true does not make the field read-only in the document. Selection state of read-only checkboxes could be modified interactively by end-user. Mouse activity event is not fired for MouseUp event. Interactive search in viewer ignores lines that are only slightly off the baseline. PDFUtils.CPixelsPerInch variable can be changed to override system's DPI, as Screen.PixelsPerInch cannot be read on Windows 8.1. Access violation encountered when setting PDFDocument property of PDFPrinter to Nil. ImageMask masked images are displayed distorted or with low resolution. Combo box form field values are not displayed if application is created in RAD Studio XE2 and newer. Support for RAD Studio XE7. 64-bit target support for Delphi/C++Builder XE2 and later versions. Custom widget demo project can now display attachments and save them directly using viewer. Custom widget demo can display free-text annotations. New completely native font engine written from the ground up - enables platform independence and 64-bit compatibility. Improved accuracy of search-and-highlight feature when searching text using TgtPDFSearchPanel component. New method SaveToStream to TgtPDFFileAttachment class. TgtPDFDocument.Encryption property can be used to read existing encryption settings. C++Builder compatibility issues caused by GDI+ TIFF processor. Drag-and-drop feature in Viewer demo did not work for files with upper-case extension (".PDF"). Form-processing demo not assigning checkbox state based on value string ('True' or 'False'). Access violation encountered when saving some documents already loaded in a viewer component. Checkbox cross symbol disappears after form flattening. "Catalog not found" exception thrown with some documents having multiple x-ref tables. Unable to set "creation date" and "modification date" document information properties. Radio group form field's SelectedItemIndex property wrongly defaults to 0 (first one) instead of -1 (no selection). Support for RAD Studio XE6 Update 1. Included link annotation widget in custom annotation widget demo. PDFToolkit source has been made compatible with Delphi 5. Added new Destination property for link annotations (linking to targets within the same document). Added new optional Password parameter for TgtPDFDocument.LoadFromFile and TgtPDFDocument.LoadFromStream methods. Added ability to make InteriorColor transparent for circle, square and line annotation classes by setting it to ClNone. Installation issues with C++Builder in RAD Studio XE2 and XE6. Missing .OBJ error with trial builds in C++Builder-only installations. TgtPDFDocument.OnPassword event is not called if password provided to LoadFromFile() or LoadFromStream() does not work. Invalid bitmap error encountered when rendering PDFs with some DCT images. With some documents, existing content is lost when calling TgtPDFDocument.MergeDocs() method. TgtPDFDocument.SaveAsText() method does not fully consider its page range parameter. Access violation encountered when merging certain PDFs in programs built in some IDEs (2007 and older). PDF signatures added by PDFtoolkit are not recognized by Adobe Reader in some cases. Access violation encountered when closing an application if it contains multiple viewer instances linked to a single TgtPDFDocument instance. Invalid ID exception raised when rendering documents. With some documents, a blank page is printed if TgtPDFPrinter.ShowSetupDialog() property is set to false. Added support for RAD Studio XE6. Added more language options to installer. Access violation when splitting certain PDF documents. Control name typo error on Watermark demo project. Access violation occurs when splitting certain PDF documents. Printer component throws exception when no printers are available. Access violation occurs when merging PDF documents with JBIG2 images. Text extraction error-tolerance issues when ToUnicode entry does not contain any character codes - not falling back to the CID font. Form-field encoding errors causes Adobe reader to show "Save" dialog when end-user closes the document. Printing merged (but not saved) documents results in empty output. Incorrect annotation count is returned after adding new annotations and before saving. Document information properties become corrupt if text specified is in Unicode. Issues occurring when reading and writing document information properties. PDFs with DCT images are corrupt while decrypting. Access violation on loading a new document in a viewer control if standard actions have been configured for it and previous document has highlighted regions. Viewer context menu displays the wrong viewer mode as currently selected. Several image-rendering issues with JBIG2 and "Masked Images". Digital signatures are not rendered properly in some PDFs. Duplicate fields are not rendered in non-interactive mode. Temporary file created when rendering PDFs with JBIG2 images is not deleted. Support for rendering Color Key masked images. Added new method MovePage(PageToMove: Integer; MoveToPageNumber: Integer) in TgtPDFDocument class. Page rendered blank when page size rectangle in the document is specified in reverse order, for example, (0, 1200, 800, 0). Text extraction operations return junk characters when ToUnicode table is empty, that is, mapping information is absent. Application start-up error when using PDFtoolkit with some third-party components in C++Builder. Some text missing when rendering some PDFs - caused by improper freeing of font object. "Index out of bound" error occurs when calling TgtPDFEngine.TextOut with <font> HTML tags. "€" character is displayed as "?" RAD Studio XE2 error "Unit gtViewerWidget was compiled with a different version of Vcl.Graphics.dSkyBlue"
Unicode support and font rendering optimizations for TgtPDFDocument.TextOut method and TgtTextWatermarkTemplate class. Support for text appearance in digital signature form fields. Access violation in MergeDocs method. Some pages were blank after merging. Merge operations sometimes created corrupt files. MergeDocs failed with documents that have only images. Access violation in ExtractPageTo method. Access violation in FlattenFormFieldsOnPage method. GetPageElements returned text elements incompatible with v2.5 - now returns individual text outs as it did in version v2.5. Access violation when SaveToStream is called after FlattenFormFieldsOnPage. Incorrect text content extraction caused by incomplete processing of font encoding. Some special characters (for example ü) not displayed. 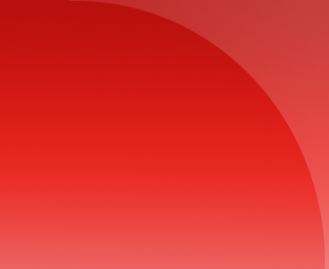 Optimized rendering of softmasked images. New TgtPrinterCapabilities.PaperSize property to set custom page size. Bookmark creation and bookmark tree traversal overhauled. Changed: GetBookmarkRoot returns root bookmark for creating new bookmarks, regardless whether PDF contains bookmarks or not. Redundant and unused method CreateNewBookmark removed. Conflicts with IGDI+ if IGDI+ already exists on the development system. Issues in manual compilation of PDFtoolkit components. Access violation with SearchFirst method. Linker error in C++Builder 2009. Index used by GetFormField and GetFieldIndexOf methods did not match. Issue with loading PDFs with malformed XRef tables - enhanced fault tolerance. Issue with receiving mousewheel messages when viewer is not focused. Rendering of XObjects in form fields. New Orientation property in TgtPDFFormField class for rendering rotated formfields. New HighlightRegion method to highlight specific regions on the viewer - includes support for hint text, custom object association and mouse activity events. [ProPlus] Added: New viewer events to track changes in current page, zoom, etc. 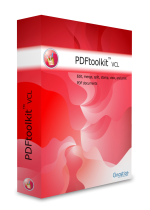 For older releases of PDFtoolkit VCL, please click here. If you are a student and want to use the GNOSTICE PRODUCT for your project work, then you can get the low-priced STUDENT ACADEMIC LICENSE instead of the more expensive DEVELOPER SUBSCRIPTION. You need to mail us describing your product to purchase an SDK or OEM LICENSE. An PDFtoolkit VCL developer subscription comes with free priority e-mail support for 12 months. Please send your queries to support at gnostice.com. Please ensure that your mail system does not block e-mail from our domain gnostice.com. (Our support system will send you an autoresponder within a few minutes of your e-mail.) You can also use our online feedback form to send us support queries. A PDFtoolkit VCL developer subscription comes with free updates (major and minor) for 12 months. Our news page provides information on the latest updates to our products. You can also subscribe to our news RSS feed to get notified of the latest updates. www.gnostice.com/docs/pdftoolkit_vcl/frames.html. The installer application will also create a local copy in your computer when you run it. We have also published technical articles related to PDFtoolkit and other Gnostice developer tools, as part of Gnostice Newsletter. To subscribe to the newsletter, send a blank e-mail to info@gnostice.com with the subject set to "SUBSCRIBE". You can also get notified of the latest articles via our newsletter RSS feed.